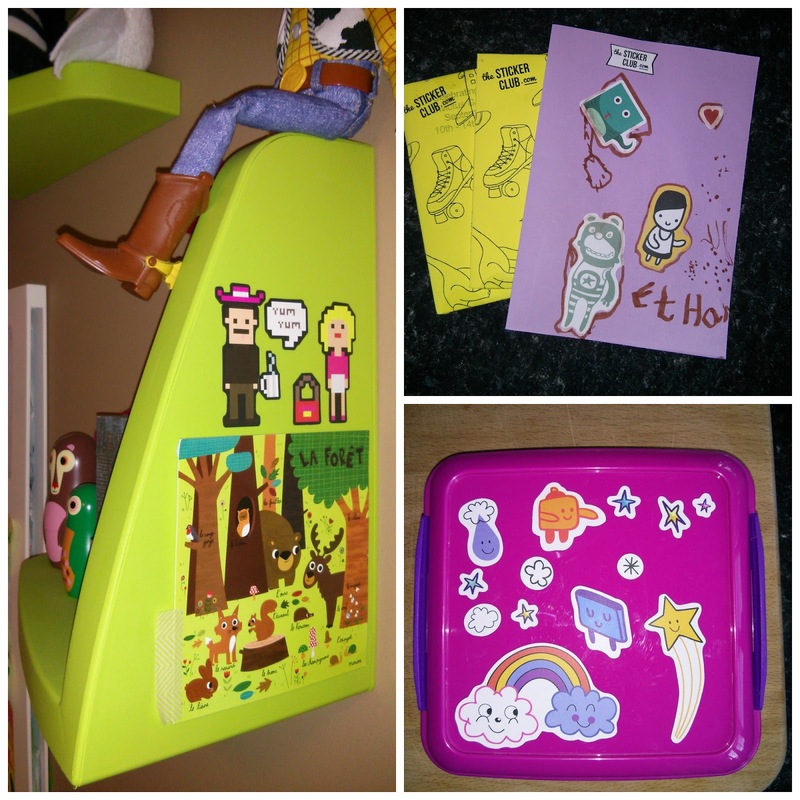 Medicated Follower of Fashion: The Sticker Club - A weekly kids sticker club! 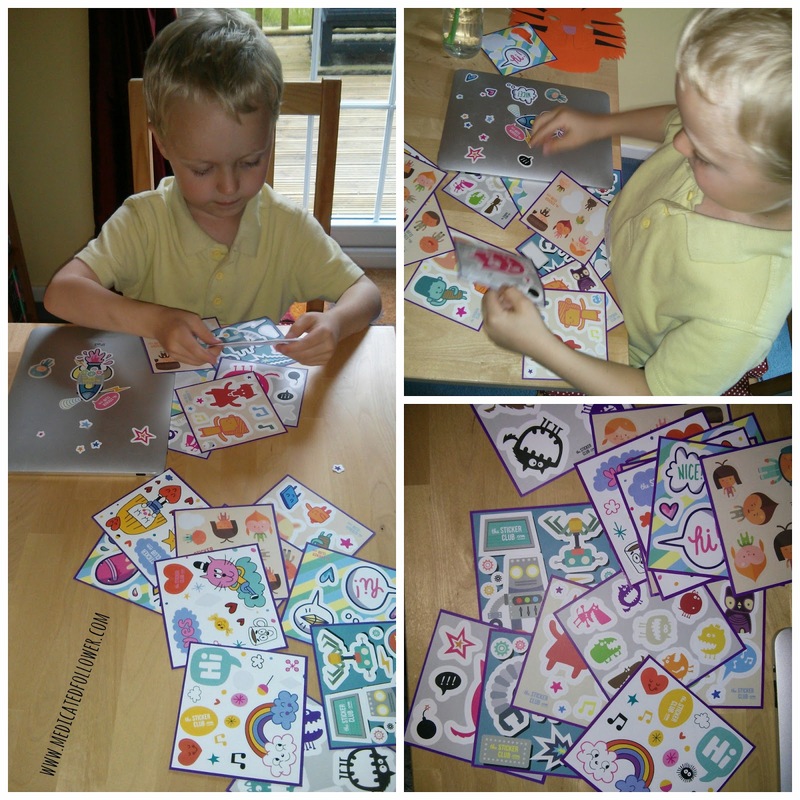 The Sticker Club - A weekly kids sticker club! A short while ago an exciting email landed in my inbox asking if Ethan would like to have stickers sent to him for him to do with whatever he wants. I didn't even need to run the question by Ethan, I knew he'd love the chance! Are there any children that don't like stickers? I don't think so! The idea behind The Sticker Club is simple. You sign up online and your child receives a hand folded packet of stickers once a week. The cost is £1.99 per week. Subscriptions are auto-renewing but can be cancelled at any time. The stickers themselves are designed by up and coming designers so are guaranteed to be of great quality, modern and attractive. Ethan received his first pack towards the end of August and since then has continued to receive a pack each week. There are so many things you can do with them. 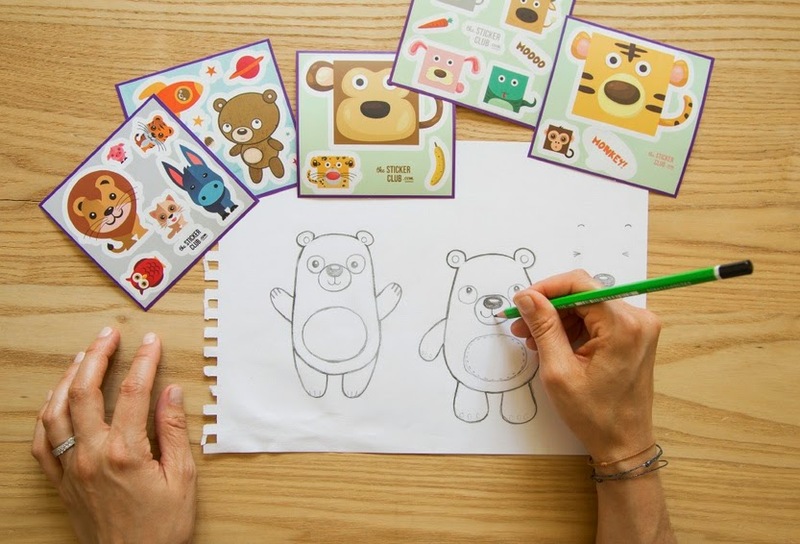 Keeping it simple, Ethan likes to stick them on paper and incorporate them in his drawings. However, we have also decorated around the house. There was one little set that reminded Ethan of Minecraft so he wanted to keep those ones in his bedroom - we stuck them on his shelf! We decorated the back of our ipad, our phones, the fridge, even Ethan's lunch box. We've used them in Thank You cards. They are so cool that adults like them too! I'm actually holding some sets back now because I think they will also make lovely stocking fillers and gifts for other children. Overall, I think it's a great idea. Anything that encourages craft and creativity is good in my book. One suggestion I would offer would be choosing different options when it comes to frequency. I think for us, one pack a week is a little too much. We'd probably get on better with 1-2 packs per month. Obviously you can cancel and restart membership whenever you like but it'd be nice to have different frequencies to choose from. The club only launched on the 1st of September though, so this may well be something they are planning for the future! Swing time! Having fun close to home. Trendy Thursday - Socks, socks, glorious socks!